According to the 2014 National Association of Realtors Profile of Real Estate Firms, professionals associated with the real estate industry remain very optimistic about the direction of the housing sector. 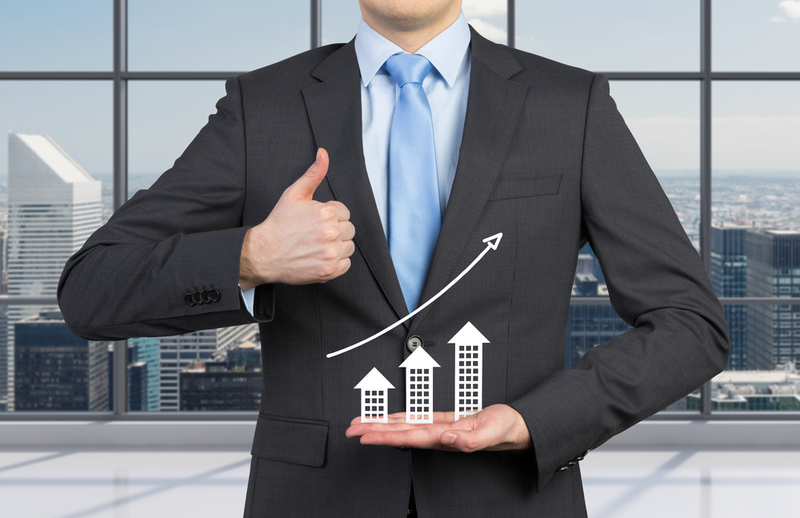 More over, real estate firms are confident about the future growth and profitability of their industry. Residential redevelopers, or investors as they are more commonly referred to as, should remain encouraged by the recent sentiments expressed by industry professionals. For all intents and purposes, the housing sector should improve sooner rather than later. It is not difficult to see why industry professionals are so encouraged by the future of the housing sector, as the report has acknowledged that 66% of firms are expecting to become the beneficiary of increased profits over the next year. Lawrence Yun, the NAR’s chief economist, says that commercial firms also have a confident outlook for the coming year. “Commercial real estate firms are even more optimistic, with 71 percent expecting profitability to improve,” said Yun. For all intents and purposes, optimism abounds within the industry. Of the firms represented by the most recent NAR profile, 81 percent focused on residential properties. Subsequently, both commercial brokerages and residential property management were recognized as the most popular secondary functions. Eighty-four percent of firms are independent, non-franchised firms, while 14 percent are independent, franchised firms. The remaining 2 percent are subsidiaries of both national and regional corporations. In 2013, the average sales volume for a standard residential real estate firm topped out at $4.7 million. Surprisingly, commercial real estate firms averaged almost half a million dollars less, earning approximately $4.3 million last year. According to the report, roughly 35 percent of the sales volume was attributed to past client referrals. However, in a close second, 30 percent was repeat business from past clients. Of particular interest, however, is the amount of business that supposedly cam from other outlets. Independent websites and social media platforms accounted for 15 percent of the sales volume, 10 percent and five percent respectively. With the progression of the Internet, those figures are expected to increase exponentially in the coming year. The average residential firm has been in business for 12 years, and the average commercial firm has been operating for 17 years. Eighty-one percent of all brokerages have one office and two full-time real estate licensees, while seven percent have four or more offices with 92 full-time real estate licensees. The report also reveled the most common concerns felt by firms: millennials. Accordingly, 59 percent of firms fear that a lack of millennial participation may hurt their business in the near future. It is no secret that it has been incredibly difficult for younger generations to participate in the housing sector. In fact, many believe that their participation, or lack there of, is partially to blame for the stagnant recovery. Houses have appreciated too much to the point that they are unaffordable for an entire generation. Fortunately, things appear to be turning around. Job growth and wage increase should favor millennials in the coming years and ease the concerns expressed by real estate firms. In addition to millennial participation, firms also expressed a concern regarding profitability, keeping up with technology, maintaining sufficient inventory, and local or regional economic conditions. Despite their concerns, firms across the country have demonstrated an increased propensity for growth. Growth has not been hindered in any way. In fact, 45 percent of the firms included in the NAR report acknowledged that they are currently recruiting sales agents. Perhaps even more encouraging, 87 percent of those firms claim that they are recruiting because of an increase in business. Firms also expect industry competition to increase in the next year. Forty-eight percent predict this will come from non-traditional market participants, 41 percent predict it will come from virtual firms, and 16 percent expect competition from traditional brick-and-mortar firms.